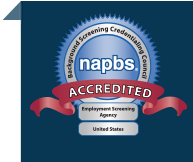 For employers who rely on employment screening and background checks as part of the employee selection process, knowing how to handle the resulting reports is essential. The ability to articulate what behavior is absolutely unacceptable in the workplace and establishing a framework by which less serious behavior is evaluated makes it easier for employers to consistently apply wise decision making to the screening process. Previous articles on this blog have addressed the importance of carefully constructed decision criteria and the need to apply those criteria consistently to promote fair hiring and avoid the risk of negligent hiring. An employment background check must always balance the employer’s need to know with the fair employment rights of employees. Yet the challenge is how to avoid discrimination while meeting the due diligence requirements the role or position requires. To do this right you need to start by comparing the sensitivity of role-related risk against company rejection criteria and apply it consistently without bias. What does this entail? Within the category of crimes against property, you’ll find crimes as severe as burglary and arson to potentially less severe littering and loitering. Clearly some organizations (especially those with an environmental tilt) may view littering violations as severe while others may see it as a minor offense. Same goes for the multitude of other items that fall under each of the categories named above. When we help our clients through this process we rank items under each category with score from 0 to 5 with 0 meaning the item is irrelevant and should not impact hiring decisions and 5 being severe and no applicant with a single occurrence of the behavior would be suitable for employment. Different positions in your company have different role-related risk. We typically score the risk as a 5, 4, or 3, with 3 being high risk and 5 being minimal risk. For a given role in your organization you’ll want to decide how “risky” it is for an individual to turn up a background check that contains a given category of risk (crimes against a person, crimes against property, court violations, etc.). Essentially you ask yourself, if the background check of an individual in this role were to reveal a crime against property or a credit problem or other category, how risky would that be to the organization? You’ll need to complete this exercise for each role in the organization. As background check reports come in from your screening provider or staff, you’ll want to evaluate the results of the report against the criteria you’ve analyzed above. Ideally, you’ll come up with a “final score” that is derived from the results of the background check, the risk tolerance of the organization (step 1) and the role-related risk (step 2). If the score falls outside the acceptable risk level for that role, you’ll likely have sound justification for denying employment to the individual. If the score falls within the acceptable risk limits, you are likely justified in allowing the individual to be hired. Sometimes a score falls in a “yellow zone” where it’s difficult to determine a clear cut yes or no answer. In these cases, further review by a Human Resource professional or designated report recipient is needed. Risk Match from Proforma aids the recruiting process by applying the same set of criteria to all roles in order to determine an applicant’s suitability for entry into an organization. When you order a background check with Risk Match through Proforma Screening, your background check reports will automatically be placed in the green category (do hire), red category (do not hire), or yellow category (needs further review) based on the unique risk tolerance and role-related risk as determined by your organization. With Risk Match, you’ll answer a series of questions designed to draw out your risks and determine the range of acceptable “final scores” for a background check. Learn more about Risk Match for employment screening risk management.